Eat. Exercise. Live. | You are a perishable item. Live accordingly. I wanted to write this post to motivate you. To motivate me. To motivate this girl. In the time I trained her she changed so much. 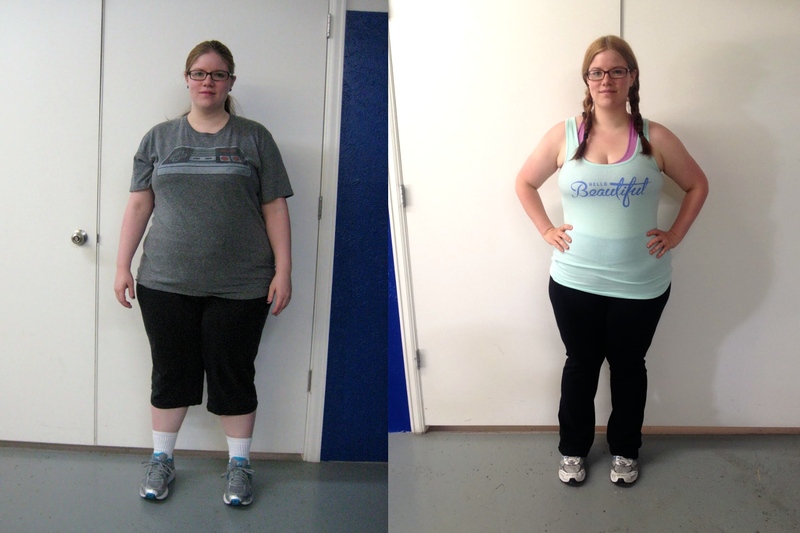 She lost a lot of weight, near 65lbs. She became stronger. But more than the physical, she became more confident. I loved working with her and love working with people like her. She groaned and whined and cried but she pushed through it, every workout. She had decided at a certain time she was going to go it on her own, which I totally understand. In fact, for me, it’s a dream when my clients are willing to go it on their own. My hope is that I give them the tools and the know-how to be confident enough to workout without someone telling them what to do. Be aware, this is not an easy thing to do. If it was easy, everyone would be doing it. You have to push yourself harder (as though you had a trainer yelling at you), you have to make the time and you have to find the motivation. What are you working out for? To be healthy for you and your family? To teach your kids the right way? To fit into that bathing suit? To run a marathon? To look good in a LBD? Whatever it is, remind yourself of it today. Get up, give yourself 30 minutes to go for a walk/run, lift some weights, do some yoga. Move today! Don’t wait for tomorrow. You can do it! Heidi, I’m talking to you!! Tags: Colorado, fit chick, motivation, move, strong, workout | Permalink. 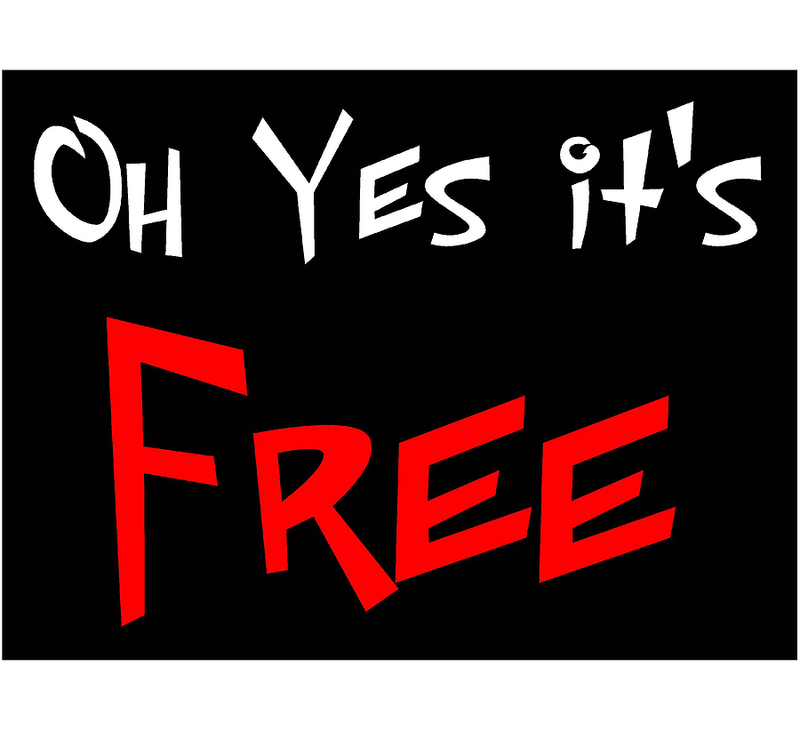 I”m trying to figure out how to make my business better and really just need input from people! Could you please fill this survey out for me and give me as much information as possible. If you choose to give me your name and email, I will enter you in a raffle to win a prize! I was working with a client the other day and she started going on and on about why she was unable to get out for a walk and all the things that prevented her from getting in some more cardio. Nap schedules for the kids, making lunch, cleaning house, it might rain. Then she stopped and said, “I’m making a lot of excuses.” And I said, “Yes, you are.” It’s what we do. We make excuses. The truth is, like my wise husband says, “You make time for the things you want to make time for.” If you want to make real changes, stop making excuses and start moving. Currently, one of my clients is stuck in a walking boot. This is not her first time in a walking boot. Not too long ago, she had to have one on the other foot. During that time, she gave up all her workouts. When she sent me a text that she was in a boot again, I told her, we can work around it. 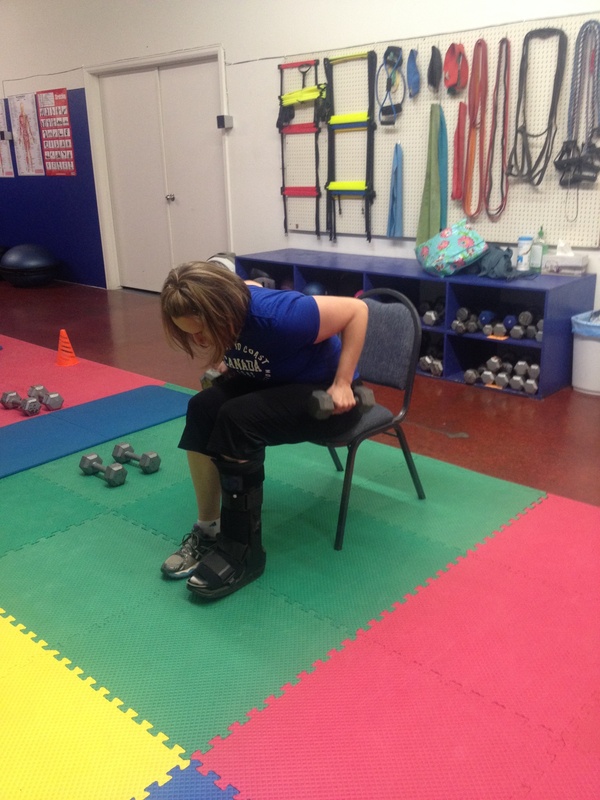 She told me that she didn’t want to lose everything she had worked for and was determined to do workouts in her boot. Let me tell you, I have a lot of fun things planned for her in the next 4-6 weeks. She is great example of not making excuses when she could easily say, “I can’t do it because I’m in a boot.” What excuse is holding you back? How can you work around it? Tags: cardio, Colorado, excuses, Fit Chicks, injuries, Lafayette, no excuses, walking boot, workout | Permalink. I have an interesting relationship with running. It’s like that saying, “keep your friends close and your enemies closer.” Well, running and I are very close. I found running to be awful for me and yet I understood that I needed it. It was a great source of cardio for me AND it always helped me to lose the inches. I told myself if I can just get myself comfortable I can run. So i found my sweet spot. The spot that I could control my breathing easily and I felt good about my run. I could look around and see what was going on. Comfortable. As I started running more and more, taking on 5K’s, 10K’s and even a half marathon, I would get so frustrated at how slow my time was. It was really slow. Slow. I wanted to be faster and somehow I couldn’t get there. What I realized is that I needed to step out of that space that I was so comfortable in. Push myself. Run harder. Breathe harder. Feel uncomfortable. I really want you to hear this. IT”S OKAY TO BE UNCOMFORTABLE. We are programed to be comfortable. When we get out of that space we feel like we have to quickly find our way back. What I want to say is, when it comes to pushing yourself and building your endurance, making yourself stronger – it’s okay to be uncomfortable. Please know, it’s not okay to push yourself through injury. Uncomfortable and bad, hurt pain are not the same thing. But let yourself be okay with heavy breathing, weights that feel heavy, runs that are hard on your legs. It’s okay. You will live through it and you’ll come out better/stronger/smarter/happier on the other side. Tags: building endurance, Colorado, comfort level, Lafayette, running, strength, uncomfortable, working out, workout | Permalink.